his episode will look at the technical and strategic innovations in both submarines and submarine countermeasures before the start of the war and during its first year. We will also look at how Germany planned on using their fleet of subs and how they were actually used, which was quite different. Next episode we will focus strictly on the evolution of the submarine warfare at sea as it morphed from targeting strictly military vessels, to targeting civilian vessels in accordance to international rules, and then finally the big change over to unrestricted warfare all in the span of the first 5 months of the war. Submarines, or U-Boats as the Germans referred to them played a large role during the first world war, a role that is often overshadowed by the more popular and more well known affects that the German U-Boats would have a generation later in the Battle of the Atlantic. We have already spent some time discussing the impact of the U-boats way back in episode 35 when we discussed the sinking of the Lusitania passenger liner that resulted in uproar from the United States of America. This episode will look at the technical and strategic innovations in both submarines and submarine countermeasures before the start of the war and during its first year. We will also look at how Germany planned on using their fleet of subs and how they were actually used, which was quite different. Next episode we will focus strictly on the evolution of the submarine warfare at sea as it morphed from targeting strictly military vessels, to targeting civilian vessels in accordance to international rules, and then finally the big change over to unrestricted warfare all in the span of the first 5 months of the war. In his book U-Boat War 1914-1918 which was used extensively throughout both of these episodes Edwyn Gray would have this to say about the effect of the German submarine during the war "The U-boat war brought Imperial Germany to the threshold of victory. It was a murderous campaign that destroyed 11,018,865 tons of Allied merchant shipping. It was a conflict that cost the lives of 515 officers and 4,894 men of the U-boat service. It was, for both sides, the Killing Time." Gray is exagerating the overall effects of the U-Boat campaign in terms of overall influence, it wouldn't almost bring Germany to the threshold of victory. Even if it the effects of the U-boats in strictly military and economic terms is often greatly inflated the psychological effects of the campaign cannot be overstated. Before we get into the war proper, I am going to spend just a bit of time looking at what submarines looked like in the years before the war. The submarine was not really that new in 1914, it had been around for a long time, but this would be the first that they would see widespread use in a large conflict. The first German model of U-Boat was the U-1 which was constructed in 1906. It was not much different than the models that the British were creating for the Royal Navy, they were pretty much the same size and had pretty much the same capabilities. The one big difference between the two was the fuel, the Germans used Kerosene and the British used petrol. The kerosene had some drawbacks, but it was chosen by the Germans because it was more stable and safer. Both of the submarines were outfitted with electric motors and batteries that could generate up to 400 horsepower. Thinking about ships of the era utilizing electricity in this way still seems weird to me. I know that it is a bit silly, I have talked about electricity many times over the last year, but it still seems that batteries were not in existence in 1914. This is a problem with my mind, especially when you consider the fact that rechargeable batteries were created way back in the 1850s. These batteries, just like the batteries of 1914, and even until today in our vehicles, used a lead acid concoction to store the electrical power and they could be recharged over and over again with only very minimal loss of capacity. In the early days of U-Boats after 1906 new boats were constantly achieving new feats, in 1908 U-1 completed the 600 mile trip from Heligoland to Kiel Germany through the Denmark strait, in 1910 the U-3 and U-4 proved their seaworthiness when they maintained a speed of 12 knots on the surface while in the teeth of a storm at sea. The U-3 and U-4 were also unique because they were the first U-Boats to mount a retractable gun on the hull. These guns were to be used during commerce raiding since using torpedoes was seen as a waste. A milestone moment occurred in 1912 when, during the yearly naval maneuvers, a small number of U-Boats outscored a surface fleet of destroyers. The next year just one U-Boat was able to sink 3 Battleships during the exercises, a feat that no other vessel of the German navy could have achieved. 1913 was important for another reason as well because it also saw the introduction of the diesel engines into U-Boats. Diesel engines would be the only engine used during World War 2 era submarines and they are still used to this day for smaller submarines around the world. With the diesel engines the U-Boats were able to complete voyages of up to 5,000 miles while also maintaining speeds of around 10 knots. This meant that they would be able to travel into the North Sea, stay on patrol for some time, and then come back without ever having to refuel. While there would be drastic improvements over the years, by the time the war started the submarines in use would not have looked greatly out of place 30 years later during the second world war. All of the big pieces were in place, diesel engines, rechargeable batteries, torpedoes, deck guns, wireless radios, and hydrophones. While the U-Boats had all of the pieces of later years, what they did not have was the strategy. This is something that would have to be developed on the fly once the war had started. Much of the history of submarine warfare is dedicated to talking about U-Boats, but the British were heavily investing in them as well. In 1910 there were over 50 submarines in the Royal Navy, compared to just 8 U-Boats. This numerical advantage would continue, even if the British submarines would not make the lasting impact of their German counterparts. The Admiralty believed that the submarines were strictly defensive weapons and that would be their primary posture throughout the war. This was the German posture before the war as well, but they would quickly adapt to their circumstances. Before the war many traditionalists in the German navy had a low opinion of the new boats, and this included the Kaiser. He would not even inspect the U-Boat fleet before June 1914 and such an inspection was a critical sign of acceptance as part of the German Navy. Once the war started the U-Boats would have to prove their effectiveness, and they would do so early and often during the first year of the war. In the month before the war started, and especially those last few days when war was almost guaranteed, there was a lot of work to get the U-Boats ready to go and ready for war. Johann Speiss who served as First Officer aboard the U-9 would say this of these final preparations. "The practice and manoeuvres of the U-boats now increased to feverish intensity. The dark shadow of war was drawing ever closer, ready to engulf us, and we could not tell how soon those mimic battle operations of diving and torpedoing might become the real thing… a surprise attack by the British Fleet was expected hourly." As with other industries U-Boat production was drastically increased when war was declared and this increase in submarine numbers also included new and better technologies to go along with it. This meant that the new boats were slightly larger and could travel farther. Once the German army advanced into Belgium and France they began utilizing the ports there to base U-Boats from, foreshadowing the use of many French ports during the Second World War. These bases were useful for a smaller series of U-Boats, boats thatwere specifically designed for coastal work, like say around the British coastline. They were just under 100 feet long and had just two torpedo tubes to use, but they were stealthy and deadly enough for their job. Another new type was created that was designated UC, this type was created to lay mines. It carried 12 mines in 6 tubes that could quickly setup a minefield anywhere around the southern British isles. You may remember the problems that the Royal Navy had with minefields laid down by submarines during the Gallipoli campaign and in the seas around Europe they were just as much of a problem. When the war started the larger U-Boats were tasked with probing out into the North sea to learn where the British blockade was setup, what ships were being used, and how strong they were. As the U-Boats moved further and further out into the North Sea, and eventually into the Atlantic later, they began to run into a serious problem, patrol times. To reach distant patrols areas could mean up to a week of travel time, one way, when they could only be out of port for about three weeks of time total this was a serious problem. With just a week on patrol per U-Boat, and only 20 U-Boats active during the first months of the war, and given the necessary downtime for repairs and resupply, there could only be a few U-Boats on patrol at the same time. While this was acceptable in 1914 when the primary targets of the U-Boats were Royal Navy ships when the goal would shift to blockade it would be a serious problem. The bases in Belgium helped, by cutting several days off of the transit time but it was a problem that the Germans would never fully solve. The British though would take the Belgian bases as a grave threat and would attempt to damage them through an air raid on January 23rd. This would not be the last raid on the ports, not even close, and they would grow in both size and frequency. On February 12th 34 aircraft would be used, on February 16th 48. While these air raids were large undertakings by the British they were not the only way they were seeking to eliminate the U-Boat threat and World War 1 would see some of the first large scale work on effective submarine counter measures. In his book To End All Wars Adam Hochschild would say about the problem that the U-Boats posed for the Royal Navy "The mighty guns of the behemoth dreadnoughts that Britain had invested so many billions in building, and their tens of thousands of sailors, were useless against the real naval threat from Germany, which turned out to be a weapon that neither side had previously paid much attention to, the submarine." Submarines were a whole new type of challenge for the Royal Navy to deal with and nobody had any experience trying to counter them on a large scale. Even recent wars, and ones that were primarily at sea like the Russo-Japanese war, happened too early for submarines to make a real impact. There was also a fundamental misunderstanding on all sides on just how impactful submarines could be. The British had more than enough submarines themselves that if they had put their minds to it before the war they could have developed a method of defeating them. The greatest navy in the world, full of smart people, just never really considered what they would do when submarines started hunting down warships and merchantmen on a large scale in the open ocean. Once the war started they were forced to start at square one and all kinds of things started showing up on drawing boards in the Admiralty offices. Depth charges were still in the future but the first attempts involved nets, mines, deck guns, and maybe the oldest military tactic in the book good old fashioned ramming. The use of nets, often hauled by fishing trawlers was a tactic that was used quite often early in the war, often in the English channel where there was a bottleneck. It was not the most effective method, but it did manage to capture at least one U-Boat that got tangled up in the netting and had to surface. None of the methods mentioned above were very successful and so the British soon resorted to what I am going to refer to as "ungentlemanly warfare." It all started when the U-Boats started going after the British fishing fleet in the north sea, they used completely legal prize and the attacks resulted in very few civilian casualties. The British decided to take advantage of the situation by taking two fishing ships and replacing the civilian crews with high trained navy sailors. The fishing trawlers were then outfitted with the ability to tow a British submarine behind them so that when the U-Boat surfaced to capture the ships and spare the crew the submarine would be cut loose and would move in to attack. Another variation of this tactic did away with the complicated towing setup and instead just mounted a bunch of hidden deck guns on the fake fishing ships. When the U-Boat would surface to capture the ships the British would simply open fire, using the rules of the seas against them. This tactic would not be restricted just to fishing ships either and would also be used with larger merchant ships. The merchant ships added another layer of trickery to them as well. Not only were there guns concealed on the ships, not only were their sailors on board, but the ships would also fly the flag of neutral countries. The Germans were forbidden from sinking neutral ships without first searching them for military cargo so they would surface to search the ship and quickly come under fire by the ship, which would raise the British flag to replace the neutral flag it had been showing. For diplomatic reasons it was important for the ship to always have the British flag flying while it engaged in hostile action. Even with all of this trickery the U-Boats were still a problem, especially when they just started shooting torpedoes at ships without first surfacing to warn them. Because of this the best weapon against the U-Boats was not even a weapon but instead the men of Room 40. The U-Boats had wireless transmitters and used to report kills, give status reports, get orders, or announce when they were coming back to port. With the intercepts that Room 40 was able to decrypt the U-Boats could often be identified to reasonably small areas of ocean and it also meant that the British could read their orders to know where they were going. This advanced knowledge helped the British route shipping around known U-Boat patrol areas. There would be better countermeasures later in the war, but they wouldn't arrive until 1917, so for the first few years often the best defense was the oldest defense of them all, simply run away. As I mentioned earlier the first task of the U-Boats when the war started was to scout out the British fleet and blockade in the North Sea. This task began at dawn on August the 6th when 10 U-Boats left port to begin their first hunting trip of the war. Unfortunately for the Germans this particular trip would not be very successful with 8 of the boats turning around and coming home after reaching the Orkney Islands having not found anything in their two day voyage. One of the other U-Boats hit a mine and sank instantly without any survivors. The last U-Boat, U-15 actually managed to find some British war ships. This was almost certainly the first time any of the German sailors had participated in a real torpedo attack and it was at least somewhat understandable that there first shots missed. The men of the U-15 were lucky on that day though because when the reports came in from the other ships about possible torpedoes in the water the Flag Officer dismissed them. The reason for this dismissal was that the Flag Officer found it to be completely unbelievable that submarines would be attacking so far from their bases. The British ships were about 400 miles from the nearest German port which makes this belief by the flag officer very weird, the British knew that the U-Boats could travel thousands of miles, the British themselves had submarines that could travel thousands of miles so 400 miles is not that much of a hop. Because of this dismissal the U-15 just kept following the British ships for the rest of August the 9th and through the night until the next morning. Unfortunately for the U-15 they would not be quite as luck on August the 10th. The Light cruiser Birmingham spotted them early in the morning while the submarine was near the surface and the captain of the Birmingham quickly moved into ramming position. When the cruiser hit the U-15 it hit at an angle and glanced off without causing any noticeable damage. After the ramming attempt the U-15 stayed on the surface instead of submerging. Nobody seems to be really sure why this happened, it is possible that there was damage caused in the first ramming attempt that prevents the diving maneuver from being completed. Regardless of the reason why the cruiser turned again and rammed again, this time hitting it squarely amidship and slicing it in half, quickly sending all of the men aboard down to the bottom of the sea. When the captain of the Birmingham reported the sinking to the main fleet they did not believe the report. The belief was, once again, that the submarines wouldn't be 450 miles from the German port and be where the Birmingham was reporting from. With the sinking of the U-15 the first U-Boat sortie came to an end. After this first attempt the Germans would switch tactics and isntead of sending out a bunch of subs at once against a target they would just them out in ones or twos. This would be the most profitable way to use their submarine strength, as the Germans would soon find out. Besides the simple fact that the U-Boats could search more ocean when they were in smaller groups, they also made it seem to the British that the U-Boats were everywhere. Everybody started seeing periscopes everywhere along the British coastlines, they were causing U-Boat fever, and this psychological effect was almost more impactful than the torpedoes in the tubes. The British fleet would waste a lot of time investigating these sightings, they were obligated to, and most of them were not real. The next big development in the submarine war began on September the third, it was on this day that the U-21 sat recharging its batteries when the British Light Cruiser the Pathfinder was spotted. The U-21 submerged and began to stalk the ship. It was not long before the U-21 was in firing position and exactly one torpedo was fired at the Pathfinder. The torpedo would run true and it would hit the Pathfinder just behind the bridge. This may not have been enough to sink the ship except that it ignited the magazine which caused a huge explosion. It took only four minutes for the cruiser to sink with only 259 survivors able to abandon the ship in time. 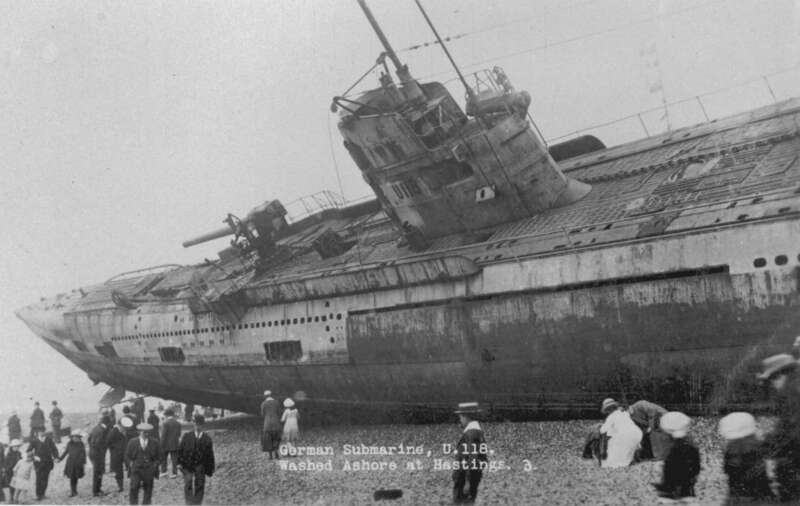 The sinking of the Pathfinder was the first real success for the U-Boats during the war. It was not long before U-Boat captains started to become national heroes, similar to air aces, and the first real U-Boat hero of the war would begin his legacy when Otto Weddigen, the captain of the U-9, approached three armored cruisers in the North Sea. Weddigen shot off all 6 of the torpedoes that were in his tubes and was able to sink all three cruisers for a grand total of 36,000 tons. When he got back to port Weddigen would receive the Iron Cross, first and second class, and all of the seamen aboard the U-9 would receive the Iron Cross 2nd Class. After the three armored cruisers were sunk by Weddigen the Royal Navy started taking everything far more seriously, the British had poured a lot of time and money into those ships and they were gone in the blink of an eye and this would cause all of the British admirals and captains to be far more cautious, some might even say too cautious, about the submarine threat. This overcautiousness was seen in the early retreat by the British ships from the Battle of Dogger Bank. The U-Boats on the other hand were emboldened by the successes of the U-9 and U021 and would continue to improve their abilities at finding and sinking the British ships. The threat to the Royal Navy, both real and imagined, became so great that it caused Admiral Jellicoe, the commander of the Grand Fleet to move all of his ships from their normal base at Scapa Flow to bases in Northern Ireland due to the fact that the British had completely neglected to erect any form of anti-submarine defenses at Scapa Flow. So, if you think about it, 20 U-Boats had caused the most powerful fleet the world had ever seen to retreat from its primary base which is a hell of an accomplishment. Even with this small victory achieved, the war was dragging into October and November and it was becoming apparent that the German army wasn't going to win the war in 1914 and the minds of the German navy began to wonder how the U-Boats may be put to better use, maybe they could find ships that were even easier prey that the Royal Navy warships? Next episode will be full of that discussion but before we get there, I just wanted to discuss a quick aside about submarine action in the Mediterranean. 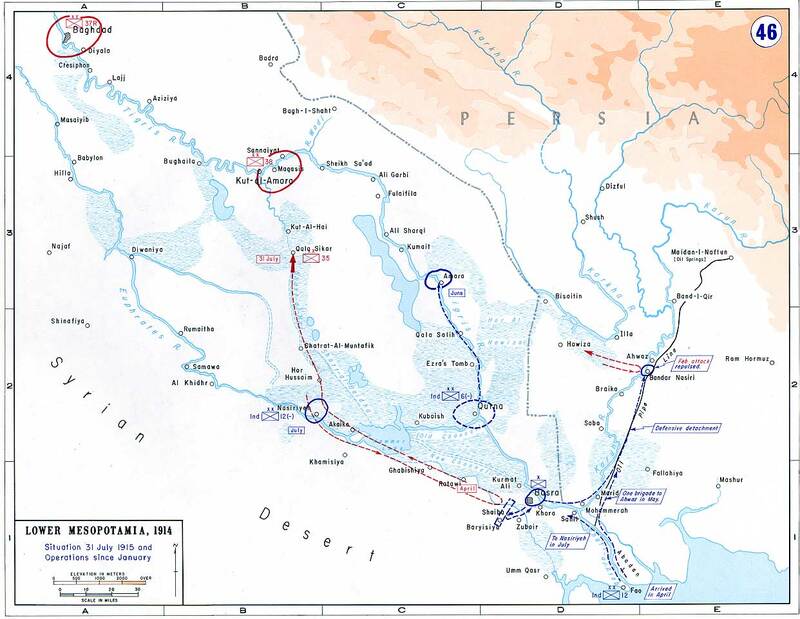 The Med was never going to be the primary theater for the submarine war but there was actually quite a bit of action and some interesting events occurring in the area. The British would focus almost all of their anti-submarine efforts in the waters around the home islands and until the very end of the war would put little emphasis in hunting down the U-Boats in the Mediterranean. It was also a safer hunting ground for the U-Boats because there was very little neutral shipping moving through the sea so when unrestricted warfare did begin the Med proved to be a very uncontroversial hunting ground, unlike the North Sea and Atlantic. These two facts meant that the U-Boats in the Med went on a hunting frenzy for most of the war and many of Germany's highest scoring U-Boat captains were based there. Another fact I found interesting was what happened when Italy entered the war. Italy declared war on Austria-Hungary in 1915, but not Germany, they wouldn't declare war on Germany until 1916 but the Germans wanted to base U-Boats out of Austrian ports to help hunt down Italian shipping. To accomplish this while still remaining, technically, out of the fighting they would register the U-boats sent to Austria in the Austrian navy with all of the paper work done up completely officially. However the U-Boats would keep their entire Germany crew, including their German captain with the addition of a single crewman, an Austrian to act as the captain in case it was required. So in all official documents and communications the U-Boats were treated as Austrian under the command of this Austrian crewman, even though they were not, and in some cases this really throws off historical statistics on who sunk what during the war, unless the researcher is paying attention.